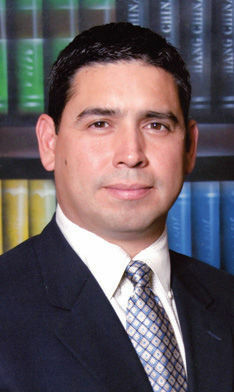 EDINBURG — Hidalgo County Commissioner David Fuentes appointed his uncle to a powerful county board Tuesday, but commissioners will likely rescind that action next week after concerns of nepotism were raised. During the commissioners’ meeting Tuesday, Fuentes nominated his uncle Ezequiel Reyna Jr. to the Hidalgo County Regional Mobility Authority board. The RMA is tasked with allocating millions of dollars in infrastructure and roadway projects throughout the county, and in 2017, the seven-member board administered revenue that exceeded $40 million, according to information found on its website. 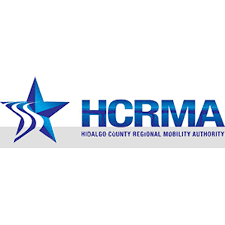 One of its current major projects is the construction of the initial phase of the proposed 365 Tollway, which will provide a loop for drivers around Hidalgo County. Fuentes choice of a board nominee, however, appears to violate the state’s nepotism law. Fuentes said Wednesday he thought he had cleared his nomination with other county officials prior to his public nomination. Fuentes chose his uncle because he values his opinion, he said. They’ve worked together for a number of years and he seemed like the right fit. A spot on the RMA board is hard to come by. Each county commissioner and the county judge appoint one member each for five total appointments. McAllen, as the largest city in the county, appoints a sixth member and the Texas governor appoints the seventh. When former County Commissioner A.C. Cuellar heard his previous appointment, Josue Reyes, was being replaced by Fuentes’ uncle, it brought many questions to mind, he said Wednesday. Cuellar and Fuentes have a long history. It’s not a friendly one, and it includes Fuentes’ uncle. Cuellar filed a lawsuit against Fuentes in 2016 for alleged violations of the Texas Election Code in which he argued Fuentes failed to report over $400,000 in campaign contributions from his uncle. Cuellar equated the move to money laundering and later added Reyna as another defendant in the case, but state District Judge Noe Gonzalez threw out the case against Reyna last year. However, the case between Cuellar and Fuentes is set to go to trial in May. Cris Feldman, Cuellar’s attorney in the matter, called the appointment of Fuentes’ uncle to the RMA board an “audacious” move. For his part, Fuentes said he had some “strong” words for Cuellar and his allegations, but would keep them to himself as advised by his attorney. Instead, he said, he would focus on the issue at hand. “I’m going to look for someone who’s going to serve the community and someone that is going to be fair and equitable to everybody,” he said.